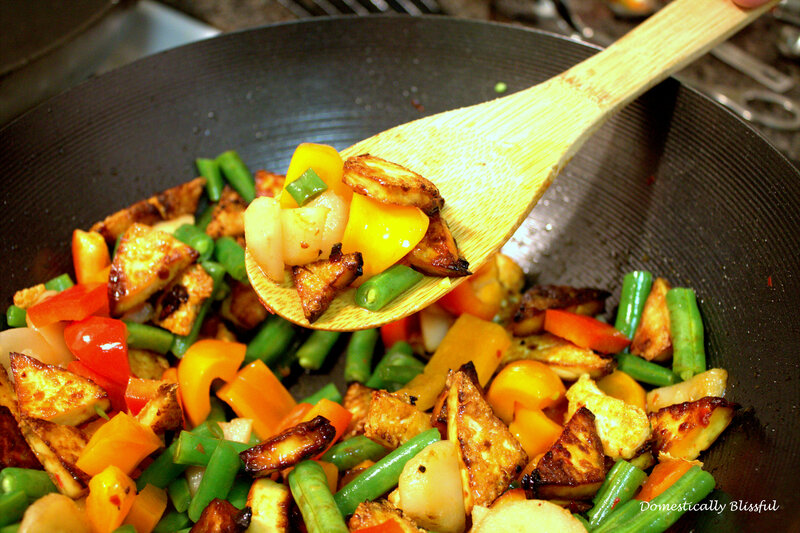 My husband makes the most amazing Sweet & Sour Tofu made from my Crispy Tofu! This is a delicious recipe filled with lots of fun colors and great flavors. 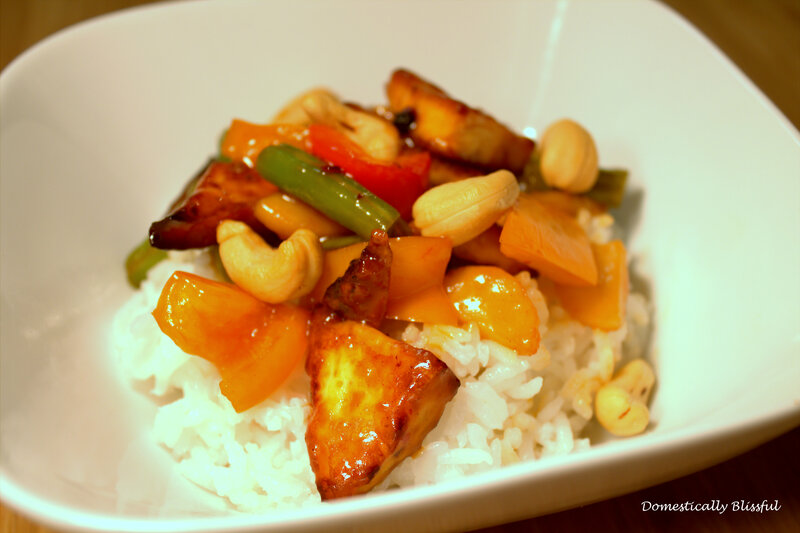 If you love Asian food, you will love this Sweet & Sour Tofu recipe! ½ Orange or Yellow bell pepper – or whatever color bell pepper you like! 1 cup cut green beans – fresh is best! Tofu precooked to your liking – We love our tofu crispy! Check out this Crispy Tofu recipe! 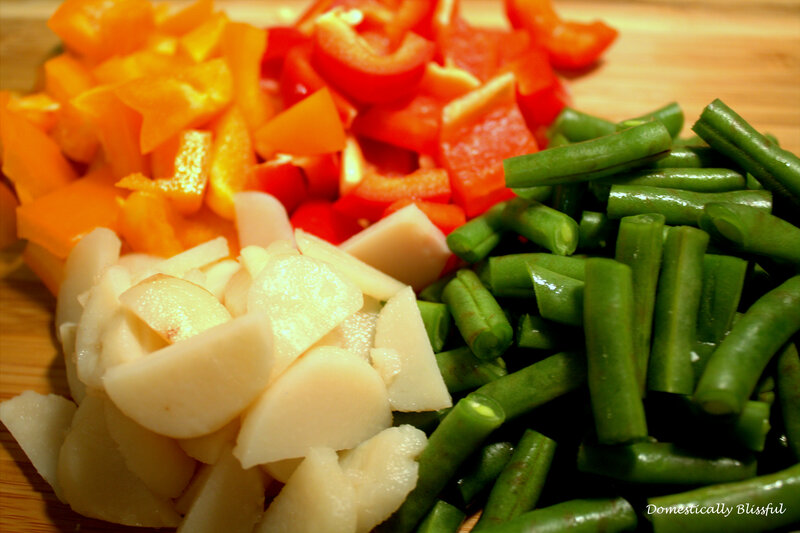 First, clean and cut all of your vegetables and set to the side. Next, heat up the 1 tablespoon vegetable oil, ¼ cup soy sauce, and 1 teaspoon chili paste in a wok or large pan on the stove set to medium. Then add all of the vegetables – and pineapple – and cook for 3-4 minutes. 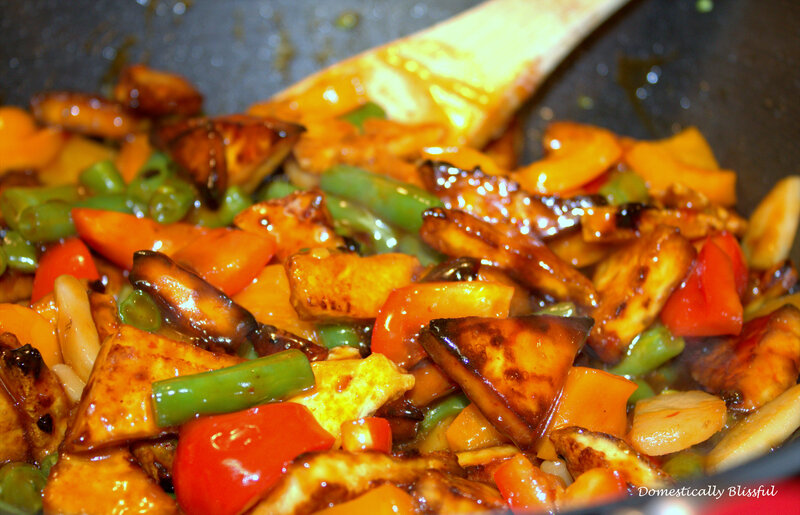 Now add the precooked tofu, ¼ cup sweet and sour sauce, ¼ cup sweet and sour duck sauce, and 1/8 cup water – to thin it out. Continue to cook at medium heat for another 3-5 minutes – or until hot. 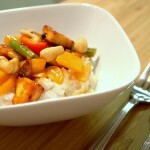 Serve over white rice and sprinkled with cashews. Next, heat up the 1 tablespoon vegetable oil, ¼ cup soy sauce, and 1 teaspoon chili paste in a wok or large pan on the stove set to medium. Then add all of the vegetables – and pineapple – and cook for 5 minutes. Then add the ¼ cup sweet and sour sauce, ¼ cup sweet and sour duck sauce, and 1/8 cup water – to thin it out. 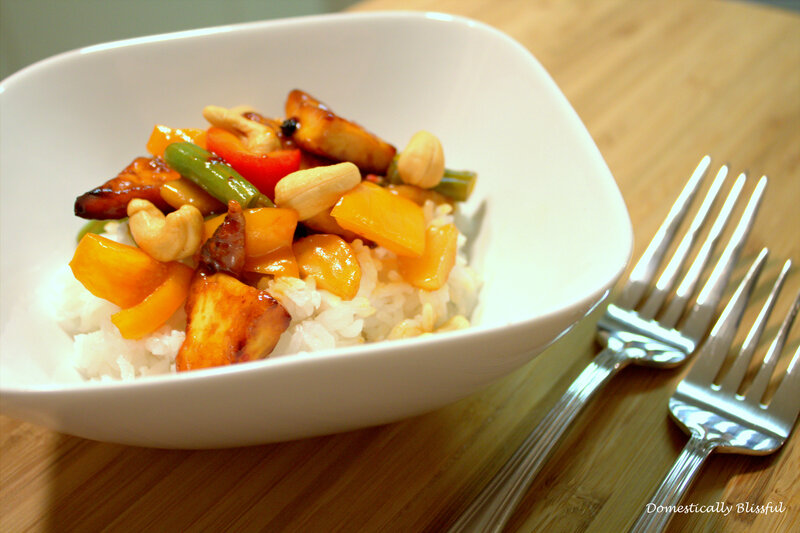 Serve over rice and sprinkled with cashews.